In the Supreme Court yesterday, Wednesday, Chief Justice Kenneth Benjamin granted the Leader of the Opposition People’s United Party (PUP) leave to file for a judicial review seeking a writ of mandamus against the Commissioner of Police Allen Whylie for his failure to investigate, and, if necessary, arrest and charge the former Minister of State for Immigration, Elvin Penner. Benjamin gave the PUP until 4:00 p.m. yesterday to file its judicial review papers, and the party had until 4:00 p.m. today, Thursday, to serve the court papers on ComPol Whylie. Anthony Sylvestre, the PUP’s legal adviser, told Amandala today that the papers were served on ComPol Whylie this morning at 10 o’clock in his Belmopan office. 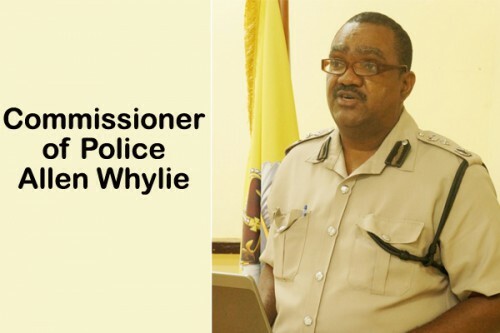 Sylvestre also told us that Whylie must appear in court tomorrow, Friday, at 10: 00 a.m. In his submission on Wednesday, Flowers told the court that the writ of mandamus that the Leader of the Opposition is requesting is for the Commissioner of Police to commence or conclude the investigation to arrest and lay charges against Elvin Penner and all others who bear responsibility in the fraudulent issuance of Belizean nationality. “It is the application of the applicant that a writ of mandamus be directed at the Commissioner of Police. There is also Mrs. Cheryl-Lynn Vidal, the Director of Public Prosecutions, whom we have made an interested party,” Flowers submitted. “The ground for seeking leave is the unlawful and unreasonable ground of the Commissioner’s refusal to seek to lay charges, for which the applicant has stated is the unlawful issuance of nationality certificate and Belize passport,” he argued. Fonseca said it has been five months since the entire country has been speaking out against this issue since the matter came to the public’s eye, and there has been no investigation of Mr. Penner. “There has not been any investigation into this UDP immigration scandal. So while we are pleased with the decision today, we have to be sad that we have reached this low point,” Fonseca stated. Apart from raising the issue in the National Assembly, Fonseca said, the PUP has called for a Senate inquiry and all the social partners and the unions have supported that call for a Senate inquiry. Fonseca asked why the UDP government is defending Mr. Penner, at all costs. “That is an important question. And who else are they protecting?” he asked. Asked to elaborate on the fact that the PUP has named the DPP as an interested party to the judicial application, Fonseca said the DPP has a constitutional responsibility as it relates to criminal matters. “She has a vested and important interest in this matter,” said Fonseca. Fonseca said that as the DPP pointed out, there is a responsibility and an obligation to carry out an investigation. This does not mean that criminal charges will be laid at the end of the day, but at the very least an investigation should be carried out. “And you can’t say, as she pointed out very rightly, at the beginning, as the Prime Minister has said, ‘there is no basis on which criminal charges can be laid,”’ Fonseca explained. He said that they are seeking justice for the Belizean people because the Prime Minister and his UDP government are protecting their political interests and not the national interests. “The UDP government and Mr. Barrow know that there are other senior officials of their party who are involved in this matter, perhaps even Ministers of government who are involved in this immigration scandal, and they are reluctant to allow the investigation to proceed because they do not want to expose those people to criminal charges,” said the Leader of the Opposition. Tomorrow morning, the Solicitor General, Nigel Hawke, will appear in court for the Government of Belize, while the Leader of the Opposition will be represented by lead attorney Edwin Flowers, S.C. and the PUP’s legal advisors Anthony Sylvestre and Kareem Musa. Amandala has received a portion of a statement made by Commissioner of Police Allen Whylie in his affidavit filed today in the judicial review granted to the PUP, from a member of the PUP’s legal team. The Commissioner, in reference to the PUP’s assertions that he has failed to take the necessary steps to hold former Minister of State in the Immigration Department, Elvin Penner, legally responsible for the fraudulent issuance of Belizean nationality documents, said: “Two reports were made by private citizens, but they produced no credible information that the police can act on in order to launch a comprehensive investigation into the immigration issue alleged.